My name is Dana Ruprecht and I love houses. I am a self-confessed bookworm and lover of all that is vintage. 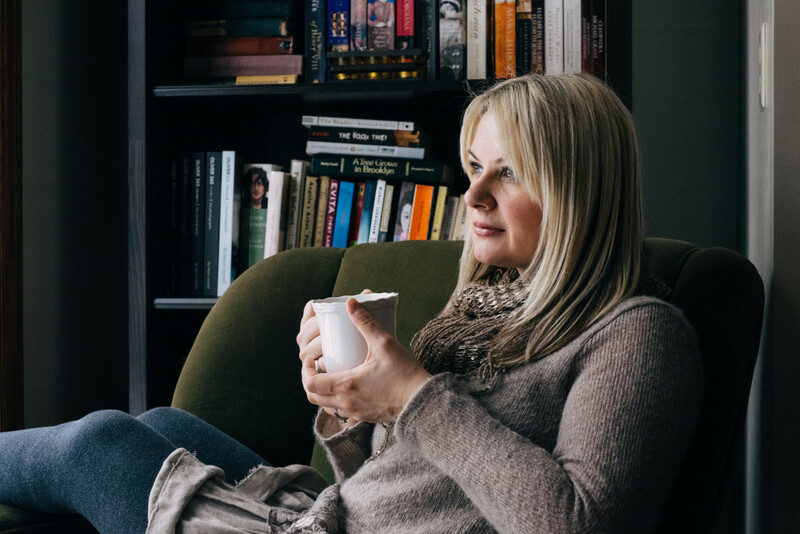 I’m a tea-drinking, blanket-knitting, candle-lighting, domestic goddess who decided to turn her love of HOME into both a blog and a business, Hearth & Gable Interiors. Inspired by nature, I enjoy everything textured, tactile, scented, and hued. I love decorating spaces and creating vignettes that make me feel surrounded by beauty, every day. Interiors and aesthetics have a powerful influence on quality of life, and attractive surroundings do in fact inspire us to live our lives to the fullest. Above all, home is where we relax, re-charge, and build memories for the future. This is certainly true for me! A stay-at-home mum for six years, I spent a lot of time managing the household and coordinating its function, appearance, and general evolution. After leaving an unfulfilling job in my mid-30s to start a family, I realized the trajectory of my life had completely changed, and that this was a good thing! I knew I wanted to continue moving forward in a new direction, so I returned to school at the age of 39 to pursue my reigning passion: interior decorating. My son was still a toddler, which made attending classes, studying for tests, and doing homework quite a challenge, but also an inspiration and an escape. For three years, I took courses and dreamed of starting my own business, Hearth & Gable Interiors. The name Hearth & Gable represents for me the two greatest symbols of home: the fireside where we gather for warmth, and the roof under which we find shelter and safety. My goal is to create interiors that are attractive, comfortable, and practical… where every day living is blended with style. I want to decorate spaces people will feel cozy in and happy to escape to, as well as proud to share and entertain in. In three months, I graduate and will officially be a certified interiors consultant. It has been an amazing journey so far! And with this blog, I hope to lay the groundwork for my consulting business by sharing decorating insight and information that is both helpful and inspiring. I hope you enjoy my blog and will continue to follow my progress! Feel free to comment and/or contact me with questions or ideas you would like to share. I’d love to hear from you! Thanks, Marty! It means a lot! Hi Dana! It’s Shan and Jay’s friend “Jen”. Sounds wonderful! Congratulations on all your accomplishments!! School and being a wonderful mom! I really like the sound of your ‘style’! Perhaps when I’m a little less busy with my two little ones I will seek your expert help! We like cozy, function and style! Kind of urban rustic. :). Best of luck on your new adventure!!! Thank you so much, Jen! It’s great to hear from you. I really appreciate your support! You are an inspiration to your fellow students. As one of your instructors, I always looked forward to receiving your assignments, as I knew that they would be full of insight and detail, and now I can look forward to reading your blog. I wish you luck as you follow your dreams. You were meant to do this! You are such an inspiration , you can fulfill your dreams if you focus and work hard which is clearly what you have done. I wish you much success, one that is well deserved. Really enjoyed reading your blog and look forward to reading many more with maybe a cup of tea , wrapped in a cozy blanket while sitting my a roaring fire! Never tire of reading your posts! Hugs and much success! Sandra, thank you for your kind words. I love to write, and I love interior decor, so this blog is truly going to be a labour of love! I love your blog and I’m sure your business will be a great success. Huzzah!!!! Kudos to you, Dana!! Thanks, Mel! It means a lot. This is great! I’ll be following! Hey, Duncan! Thanks for checking it out! Congratulations, Dana! I’m so happy for you as you begin this business and new stage. I know you’ll do an amazing job, and I look forward to hiring you!